Strike – Knocking down all the pins on the first throw. Spare – Picking up a spare is knocking down all remaining pins on a bowler’s second throw. Double – If you get two strikes in a row, you’ve just made yourself a double. Turkey – Three strikes in a row is a turkey. Badger – Once you’ve made a turkey, next up is a badger. A “four-badger” is four strikes in a row, a “five-badger” is five in a row, etc. 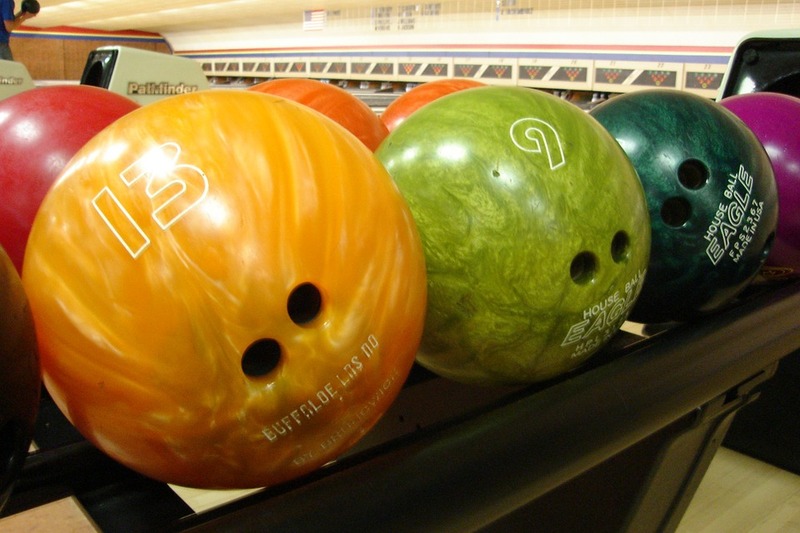 Perfect Game – 12 strikes in a row is a perfect game and totals 300 points. Open Frame – An open frame is a turn with a score of zero points. Pocket – The area just to the right of the head pin (for right-handed players) or the left of the head pin (for left-handed players). This is the sweet spot you generally want to aim for to minimize your chance of a split. Split – When the remaining pins are left with a gap between them. Often, this is caused by hitting the head pin straight on instead of in the pocket. 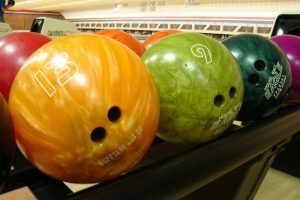 The 7-10 Split – This is one of the toughest shots in bowling and occurs when only the leftmost and rightmost pins remain (i.e. the 7 and the 10 pin). Handicap – Handicaps are most commonly applied in recreational leagues. Typically this is done by adding points to a more skilled bowler’s average to make a game with less skilled bowlers competitive. Now that you know the lingo, come try it out at our Middletown bowling alley! Check out our hours and make your plans today.